Susie Stone is the mother of five wonderful grown children and grandmother of five delightful, energetic grandchildren. 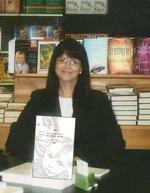 Susie illustrated and co-authored the children's book, Mango Tree. AA in Business; BA in English; Masters of Arts in Organiational Management (MAOM), Ashford University. Stay the course of faith, hope, and love - no matter the circumstances! Susie encourages moms to actively pursue natural health and wellness. Susie knows that a healthy"organic" diet, balanced body through SOT (Sacro Occipital Technique), and staying active is one of the keys to maintaining such a vibrant and energizing life style. She is a trainer/tech for the Bstrong4Life program here in Texas, which is an amazing system for developing and maintaining optimal physical condition, no matter how old or young you are. Additionally, she supports and promotes the resources and value of local grass-fed, raw milk family farms across America, encouraging families to seek out these dairies and provide their families with the best possible nutrition under the sun. In Texas, click here to find one near you. To locate real raw milk from grass-fed dairy farms in your state, click here. Susie enjoys jogging, tennis, horseback riding, Parelli Natural Horsemanship, and weekly BStrong4Life workouts with friends and clients at the Health By Hands Wellness Center, Arlington, Texas! Quiet time ~ go there!